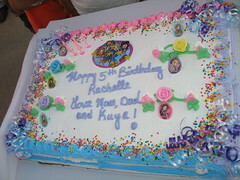 A child’s birthday party can be a memorable event for him or her. It is your job as a parent to try to make it special and a lot of fun. Here are steps that can make this an easy and rewarding task for you. Step 1: Know your limitations when it comes to budget, venue space, and the like. Make an estimate of the number of children that you will invite to the party. This will help you draft up a budget and plan for the party. Remember to begin your planning weeks or months in advance to give you enough time. Step 2: Select a theme or decide not to have a theme. Themes can be good in making the planning easier. An ocean adventure theme narrows down your décor selection to aquatic creatures, blue wallpaper, and the like. Your child can also easily find a costume for the party. Remember that themes actually make things simpler, especially for you. Step 3: Pin down the details. This entails drafting a menu, as well as picking the time, place, and activities for the party. When picking the time, remember that 1 pm to 3 pm or 2 pm to 4 pM works best for kids in their teens. For toddlers, 10 am to 11 am is best as this time slot considers their sleeping needs. Also, keep in mind that kids remember the activities more than the food and the setting. Make things simpler for yourself and serve easy to eat (and clean up) finger foods. The one thing you really need to make sure of is to keep things fun for the children. Keep them occupied and happy till they run out of energy. Step 4: Make sure to make everyone a winner, when planning for children games. Players should not go home empty-handed. The idea is to have a lot of fun, not to have the kids compete against each other. Step 5: Prepare party favors and give-aways. Party favors that are given out at the end of the party are always great ideas. These are small items that kids can take home and cherish. The birthday celebrant should be the one to give these out, as this also serves as a reminder to the kids to thank their host. Remember, birthdays are supposed to be a lot of fun, not just for your child but for you too. Keep things light. Don’t sweat the small stuff.